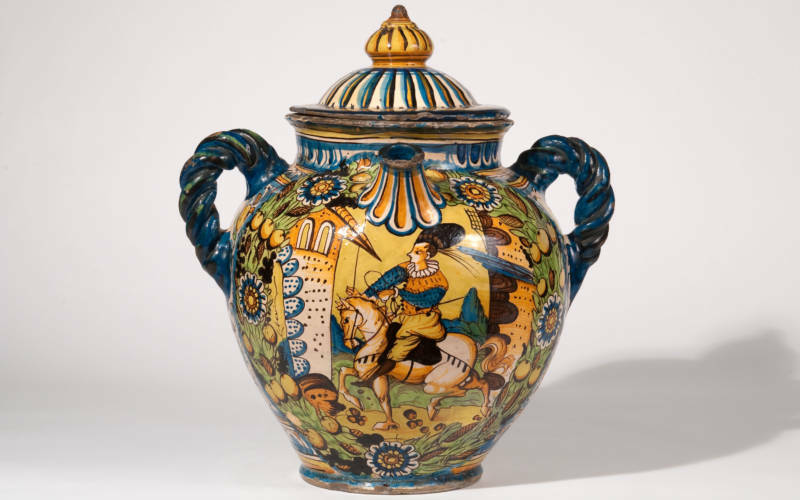 Tin-glazed earthenware, known since the Renaissance as maiolica, is an unexpected and captivating feature of the collections at Waddesdon Manor. 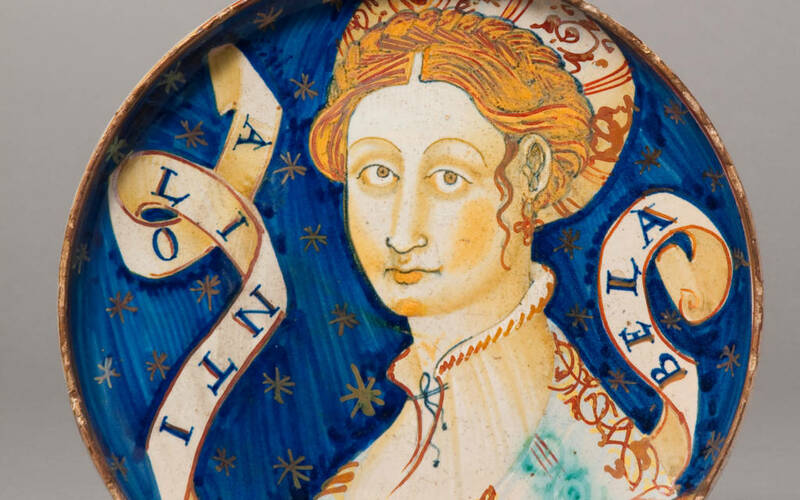 Highly valued in its own day, maiolica was also collected by connoisseurs, such as Ferdinand de Rothschild, in the nineteenth century when gentleman collectors were interested in the technology which produced these lively and intriguing objects. Newly-perfected firing techniques in the 1500s resulted in a white finish that enabled artisans to decorate ceramic surfaces with a multitude of colours as well as metallic-based lustre (a type of glaze). Decorative schemes included figures, architectural elements, geometric patterns and landscapes painted on a wide variety of shapes, ranging from simple shallow-welled dishes to large vessels with intricate moulded details. A representative selection of thirty-two objects was displayed in the exhibition. Large dishes intended for public display sit alongside more intimate components of child-birthing sets and ceramics designed to celebrate private family occasions.